Most businesses struggle and fail because they are built of a weak foundation based on hope and luck. They hope they will succeed and with luck it will happen. The successful minority are built on a solid foundation based on certainty and control. They know exactly where they are going, how to get there and they stay on course. 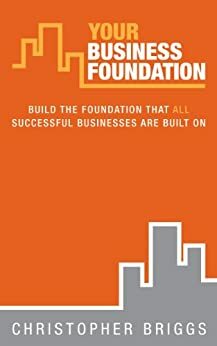 What kind of foundation is your business built on? This book shows you how to build the solid foundation that eliminates uncertainty and gives you the control you need to achieve your goals and reach your destination. So, are you going to carry on as most business owners do and struggle and likely fail or are you going to build a successful business that will change your life? With 20 years in corporate business, creating strategies to attract customers and win business. With a business that came close to succeeding but didn’t. With an almost obsessive drive to find out why mine, and other businesses fail. With 5 years of research and from helping others to succeed in their business, I’ve learned a lot. I know why businesses fail, I know how to stop that from happening and it’s all here in this book. I’ve come a long way since closing my first company in 2008, with debts that almost resulted in bankruptcy. The impact it had on my life and on those close to me is something I never wish to repeat and wouldn’t wish on anyone. I discovered that having a failed business was seen as a positive because you learn so much from your mistakes. Pretty much all those who have succeeded have also experienced at least one failure in their history. But even though you learn from the mistakes you make, too many people only get one chance to make that mistake and the harm caused can be too much and take far too long to recover from. I want to help those who can’t afford to get it wrong, get it right first time, to think beyond what they initially considered possible and to reap the rewards of their hard work. I have got to know Christopher over the past 9 months or so and during this time we have talked on numerous occassions about businesses, what we have learnt during our careers, mistakes we have made, making sure we would learn from those mistakes and what we would do differently if we could do it all again. He told me with passion one day about his career and the fact that he had written a book on creating and maintaining a successful business, he kindly gave me a copy and although I promised I would read it, I don't think he believed I would as we now live life in France having 'retired' from the fast lane of life in the UK, although for 3 successful years I was Managing Director of a profitable business with a turnover of around £35m and employed on average around 350 people in a difficult and challenging industry which needed to diversify to continue to be successful. I found Christopher's book to be very interesting and informative, mistakes that I made in managing the business were identified and addressed, a great deal of the actions Chris suggests to take to give you a solid foundation for success I recognised as controls and systems we had put in place in our business. Other areas that are addressed in managing the business, in particular dealing with customers, how to ensure you build up and retain the right customer base, ensure you offer what the customer wants and sell why the customer should come to your business were very informative. I think that if I had read the book before taking up my role as MD then I would have done some things slightly different and been able to create a more successful business. Christopher's book contains a great deal of information which in running or setting up a business you would certainly benefit significantly from reading over and over again. 5.0 out of 5 starsA book that gives a completely fresh, exciting outlook to my current business ideals. I have owned and operated a successful business for the past 17 years, and now find myself at a juncture of heavy reinvestment and doubt over which direction I should take to progress my companies to a better, more sustainable and secure level. I have no business partner, and take sole responsibility for my companies and employees. Having read Chris's book, I am pleased to say that many ideals and practices within it are already implemented within my companies. The book, however, highlights to me many of the improvements that I need, and would like to implement within my organization. It offers a detailed and balanced approach of how to achieve these goals, and gives straightforward advice and assistance. For this i would like to thank Chris for his insight and plain talking approach that is inherent is this book. I will be moving forward with my companies with more direction and focus, and with Certainty and Control as the backbone and key principles of my business life. 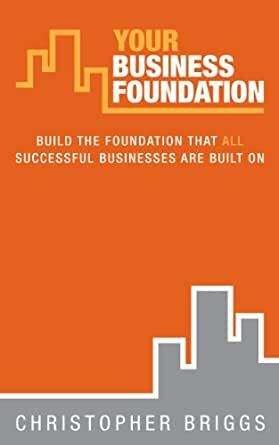 I cannot underestimate the assistance that this book has presented to me, and would highly recommend "Your Business Foundation" to anyone. It amazes me how many managers, companies both small and large, embark on business ventures without first clearly identifying what they want to achieve and more importantly, without a documented step by step plan, with notable milestones as check points showing how to get to the end point. This book lays out very clearly, some of the absolutely critical planning tools and process' that will not only help a business to have a better chance to reach its goals but, by following this methodology and being disciplined, it will also provide you an early warning if things could be going off track. What is an additional help is that its not all just theory but the author backs it up with well explained real life 'usage' scenarios and examples. I would certainly recommend this not just for business owners but for any business manager. 5.0 out of 5 starsAt last a bit of reality! This is good stuff. Definite case of been there, seen it and collected a load of t-shirts along the way. Not a dry and dusty text book but tried and tested advice honed in the crucible of harsh realty. (Check out the story of the last £10 if you need convincing!) I shall be recommending this to the businesses I advise. All institutions irrespective of them being public or private sector need to be successful. Their success will be based on a well developed strategy and robust implementation plan. This book provides a very powerful and easy to read guide for all managers regardless of their position in the organisation to understand, develop and implement a successful strategic plan. The book is littered with personnel examples of both success and failure, which when added to the realism of practice, provides chemistry for success. 4.0 out of 5 starsA comprehensive approach. Crickey, there's a lot of information in here! Hugely comprehensive. 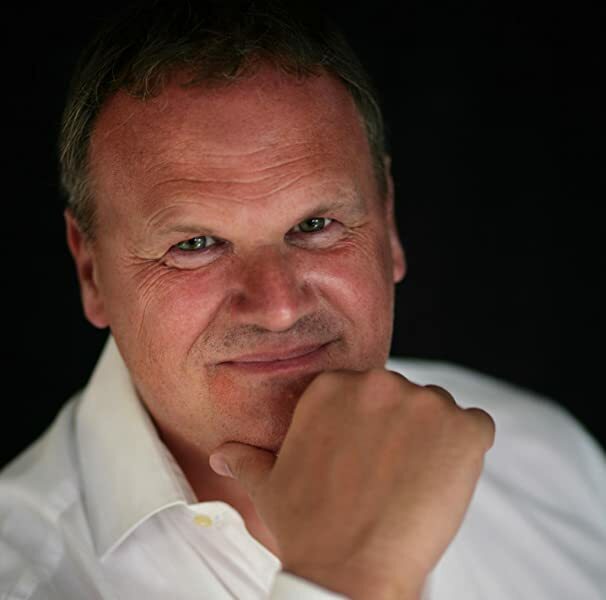 Christopher Briggs has obviously tried to write a book that can appeal to a sole trader just starting out on their first business venture, all the way through to corporate level managers; a task almost impossible to achieve really. I think if I'd read some of this book before starting out myself, I probably wouldn't have bothered, thinking, you've got to do all this to be successful?! However, what Briggs does, is ask you to look at all the elements of what you do and concentrate on the most important bit to fix first, which for me became clear very quickly. Then with the framework he's developed, you can methodically move on to the other areas that need polishing. I can't imagine he's left any stones unturned. What I would say is, if you're just starting out in business and think you just need some basics to get you off to the right start then don't be put off by the table of contents! It may all seem a bit more in-depth than maybe you were looking for but it's all information that you'll need at some point. For more experienced people, just get stuck in! I concur with other reviewers in applauding the way Briggs has presented his messages based on real-life examples and personal experiences. As such, it's a relatively easy read with all the content of a text book, making it good for all levels of experience.